SS Wire Rods, Stainless Steel Wires, JIS SUS Steel Black Wire Rods & Wires Leading Manufacturers. Stainless Steel 316 Wires Manufacturer, Steel 304/L/H Wire Rods Stockist, SS 904L DIN 1.4539 Wire Rods & Wires Suppliers and Exporter. Gunratna Metals,Based in Mumbai, is engaged with offering a huge swath of Stainless Steel Wire Rods & Wires as a producer, exporter, stockiest and provider to our household and worldwide customers. This division is occupied with assembling of stainless steel wire rods and stainless steel wires. The nature of our product is settled in the universal market. The SS Wire Rods made in one division fill in as crude material for our SS Wires plant. Gunratna Metals is occupied with assembling quality stainless steel wires. The nature of our items is entrenched in the global market. Stainless Steel Wires fabricated in our plant are primarily utilized as a part of ventures like ship building, restorative, agribusiness, springs, vineyard ,horticulture, concoction, oil, vehicle, weaving meshing, fasteners, nourishment handling, paper factories, welding terminal, and house hold applications and so forth. Our assembling office situated in Maharashtra, India is equipped for assembling stainless steel wires in broad size range from 0.09 mm to 15 mm. Our wires division is very much prepared to make amazing products having in-house offices for arrangement strengthening, splendid tempering (consistent strand toughening), dry and wet wire drawing, fast illustration, medium wire design laying, fine wire spooling, layer winding, arbitrary winding, TIG wire fixing and slicing offices to give some examples. The nature of the product is all around acknowledged by the buyers. We offer products according to ASTM, DIN, BS, JIS, NACE, AWS, GOST and so forth universal benchmarks and furthermore according to particular client necessities. This has come about into a fantastic business connection with the global market. We create SS Wire Rods & Wires which are of premium quality. With regard to national and global nature of raw materials, we also offer these SS Wire Rods & Wires in customized sizes and thicknesses as per specific demands by our esteemed clients at market leading prices. 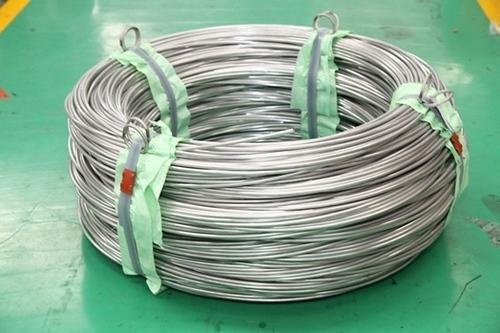 Gunratna Metals Supplies Stainless Steel Wire Rods & Wires in Agartala, Agra, Agra Rampur, Ahmedabad, Aizawl, Ajmer, Aligarh, Allahabad, Alwar, Amaravati, Ambala, Ambattur, Ambernath, Amravati, Amritsar, Aurangabad, Bangalore, Bareilly, Belgaum, Bhagalpur, Bhavnagar, Bhilai, Bhiwandi, Bhopal, Bhubaneswar, Bidhannagar, Biharsharif, Bikaner, Bilaspur, Bokaro, Chandigarh, Chennai, Chittoor, Coimbatore, Cuttack, Dahod, Davanegere, Dehradun, Delhi, Dhanbad, Dharamsala, Dindigul, Diu, Durgapur, Erode, Faridabad, Fatehpur, Gandhidham, Gandhinagar, Ghaziabad, Greater Hyderabad, Greater Mumbai, Greater Warangal, Gurgaon, Guwahati, Gwalior, Haldia, Howrah, Hubballi-Dharwad, Hyderabad, Imphal, Indore, Jabalpur, Jaipur, Jalandhar, Jammu, Jamnagar, Jamshedpur, Jhansi, Jodhpur, Junagadh, Kakinada, Kalyan-Dombivali, Kanpur, Karnal, Kavaratti, Kochi, Kohima, Kolhapur, Kolkata, Kota, Lucknow, Ludhiana, Madurai, Mehsana, Mangalore, Mangaluru, Mira-Bhayandar, Moradabad, Morbi, Mumbai, Muzaffarpur, Mysore, Nagpur, Namchi, Nasik, Navi Mumbai, NDMC, Nellore, New Delhi, New Town Kolkata, Noida, Oulgaret, Pali, Panaji, Panipat, Panvel, Pasighat, Patiala, Patna, Pimpri-Chinchwad, Port Blair, Puducherry, Pune, Raipur, Rajkot, Ranchi, Raurkela, Industrial Township, Rourkela, Sagar, Salem, Satna, Secunderabad, Shaharanpur, Shillong, Siliguri, Silvassa, Solapur, Srinagar, Surat, Thane, Thanjavur, Thiruvananthapuram, Thoothukudi, Thrissur, Tiruchirapalli, Tirunelveli, Tirupur, Tumkur, Udaipur, Ujjain, Ulhasnagar, Vadodara, Vapi, Varanasi, Vasai-Virar, Vellore, Vishakhapatnam. Gunratna Metals exports Stainless Steel Wire Rods & Wires to Countries like India, United States, United Arab Emirates, Canada, Pakistan, Peru, Chile, Spain, France, United Kingdom, Indonesia, Israel, Iran, Kuwait, Mexico, Malaysia, Serbia, Singapore, Taiwan, Chile, Venezuela, Ecuador, Saudi Arabia, Netherlands, Brazil, Colombia, Ghana, Iran, Denmark, Poland, Australia, Afghanistan, Bahrain, Costa Rica, Egypt, Iraq, Jordan, South Korea, Kazakhstan, Sri Lanka, Lithuania, Norway, Oman, Philippines, Poland, Qatar, Russia, Vietnam, South Africa, Mexico, Turkey, Hungary, Algeria, Angola, Argentina, Austria, Azerbaijan, Bangladesh, Belarus, Belgium, Bhutan, Bolivia, Bulgaria, Croatia, Czech Republic, Estonia, Finland, Greece, Italy, Japan, Libya, Romania, Thailand, Trinidad & Tobago,Tunisia, Ukraine, Yemen, Hong Kong, Gabon, China, Portugal, Switzerland, New Zealand, Sweden, Slovakia, Kenya, Lebanon, Morocco, Mongolia.